Singapore - Private insurers have started providing more comprehensive benefits for policyholders in response to better coverage provided by the national MediShield scheme. The enhanced benefits being offered by the five insurers providing integrated shield plans include coverage for short-stay wards in an emergency department of hospitals and coverage for psychiatric treatment. The increased benefits, which kick in on March 1, come at a price, with annual premiums for different age groups increasing by about 50 per cent on average. Great Eastern chief product officer Lee Swee Kiang said: "With the premium increases, we have enhanced the benefits and product features to meet the changing needs of customers." MediShield is a basic plan aimed at providing Singaporeans with coverage for large hospital bills at the Class B2 and Class C levels. Those who prefer to stay in Class B1 and above can buy a Medisave- approved integrated shield plan. The premiums can be paid using Medisave. While the premium increases for integrated shield plans may be fairly substantial, there is some respite in the form of a one-off Medisave top-up of up to $400 for all insured Singaporeans. Before the price changes occur next month, it is a good time to review your health insurance needs and see if the benefits continue to meet your needs. Mr Daniel Lum, Aviva Singapore's director of product and marketing, noted that before making any decision to terminate a policy or switch insurers, you should think about what you might lose out with that decision. "In particular, if you have any conditions that have developed since you bought your original policy, the condition might be considered pre-existing when you switch insurers, causing you to lose coverage for related conditions," he said. For such cases, it may be better to just continue with the same insurer, which will continue to provide coverage for that particular condition because it was not excluded initially. Policyholders should check that their insurance portfolio is still sufficient, especially if they bought their medical insurance plans a long time ago. Another consideration, added Mr Lum, would be the quality of health care expected. "Consumers should purchase a policy with suitable maximum claimable limits to meet the type of hospital (whether government or private) and type of ward they would like to receive their health care at." 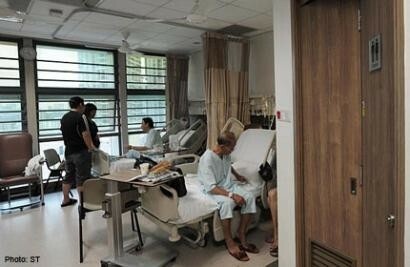 For example, Prudential Singapore does not have plans that cover the B1 wards at restructured hospitals. Its most basic PRUshield A Plus plan starts from A wards in government and restructured hospitals. Mr David Ng, vice-president and head of marketing at Prudential Singapore, said: "As it is, MediShield offers good basic cover. If you are paying for a private plan, you should opt for something that offers significantly more benefits. Our most popular plan - PRUshield A Premier - also covers treatment in private hospitals as well. "In addition to price and benefits, customers should also consider other factors like ease of admission, wide choice of hospitals and efficiency of claims in deciding their health insurance plans." Also note that integrated shield plans like MediShield have deductible and co-insurance features. If you want to be covered for all expenses, shield insurers offer optional riders but these have to be paid with cash instead of Medisave. For example, 80 per cent of NTUC IncomeShield customers buy a rider plan for more comprehensive coverage. Mr Pui Phusangmook, general manager of group and health division at NTUC Income, said: "Taken together, our IncomeShield and rider plans are the most affordable. "We aim to maintain these premiums for the next three years and to provide accessible and affordable insurance to people in Singapore sustainably over the long term."